Yesterday, Imam Muhammadu Marwana, an influential member of the Boko Haram sect, confirmed a ceasefire agreement with the Federal Government to end their deadly activities. WE are seeking forgiveness from the people over the number of people killed in the country. I appeal to those who lost their loved ones to our activities to forgive us and on our side we have forgiven all those who committed atrocities against us. I want to state clearly that we have no hands in the unfortunate attack on the secondary school (Government Secondary School, Mamudo, Yobe State). And to confirm the ceasefire deal sign, the Federal Government, through the Minister of Special Duties and Head of Boko Haram Amnesty Committee, Tanimu Turaki, yesterday, said that it had signed a ceasefire agreement with the militant group. Meanwhile, efforts by SaharaReporters to confirm with the presidency this stunning development have not yet yielded results, but it is to be noted that NigeriaVillageSquare.com reported the same story a few days ago. In that press statement, Boko Haram said the ceasefire would be in effect for 60 days, and that during the period, any attacks in its name or in the name of its leader, Imam Shekau, would be bogus attacks. 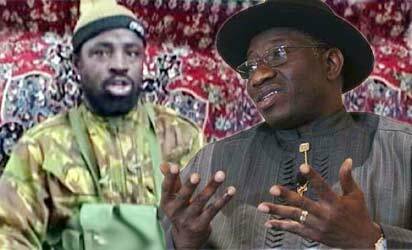 A source knowledgeable about the workings of Boko Haram, however, told Saharareporters that the ceasefire agreement announced by the Nigerian government should be discounted until Imam Abubakar Shekau issues a video message to state the position of the sect. The source further stated that so far, this new ceasefire agreement looks much like the phony ones before it.